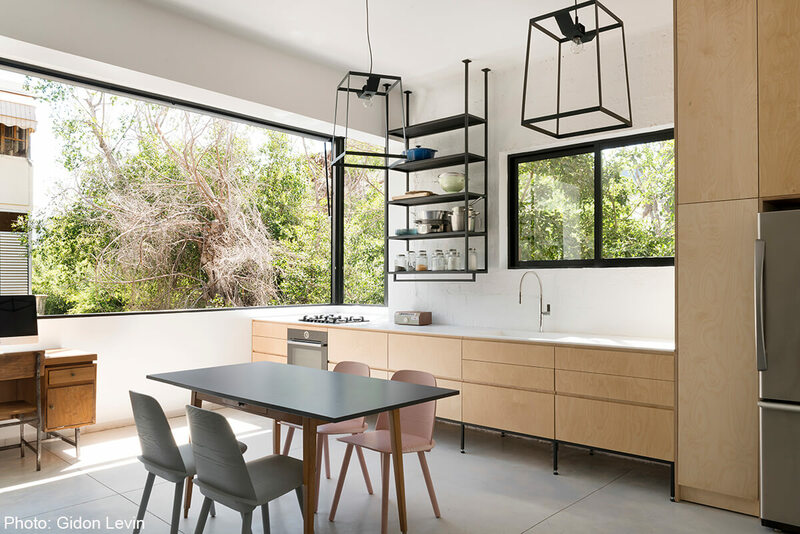 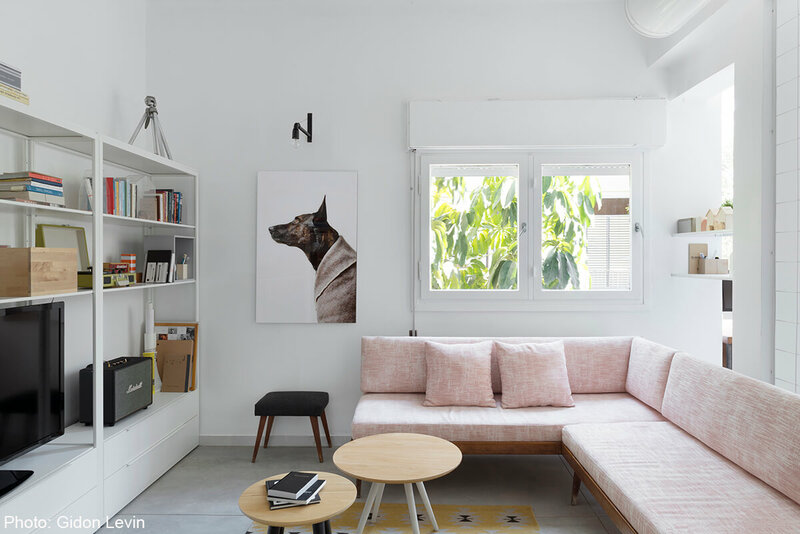 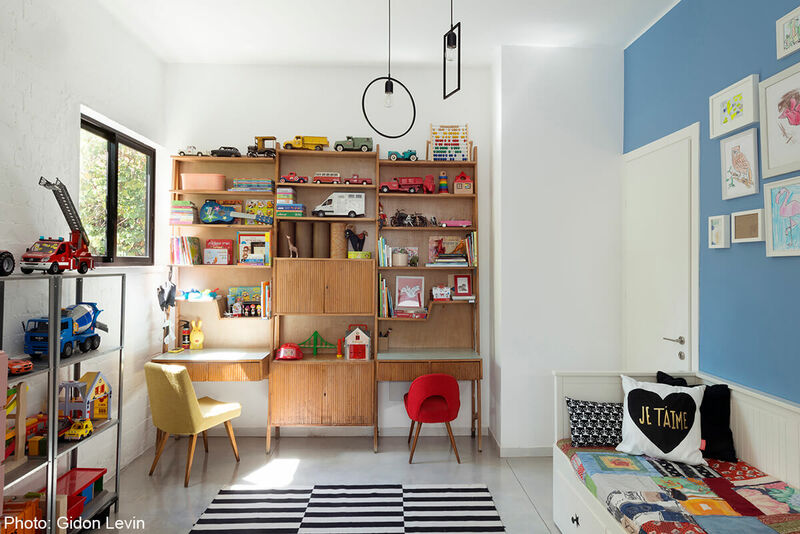 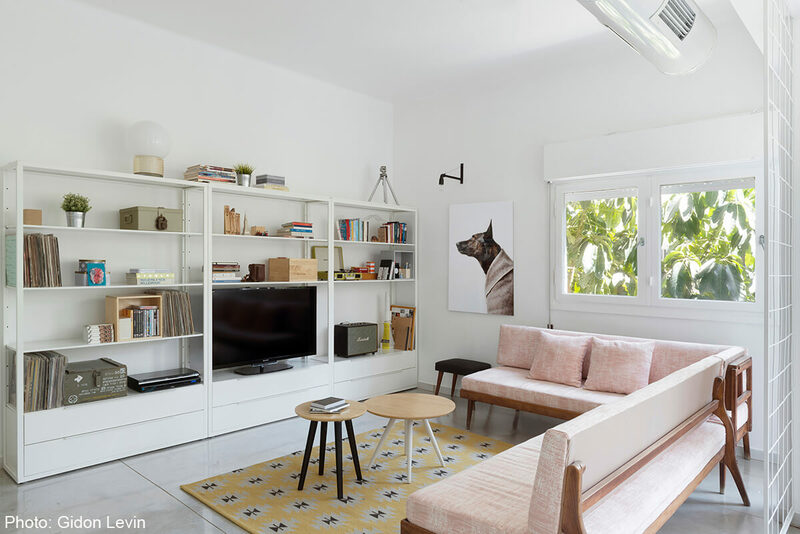 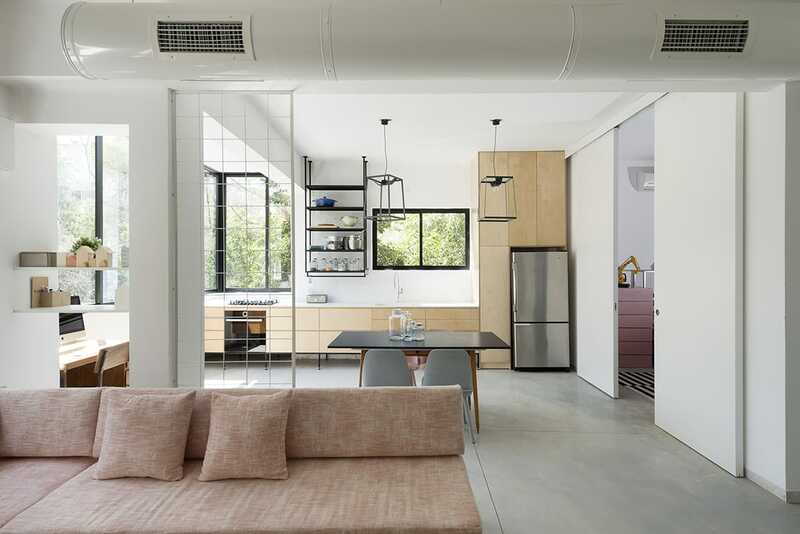 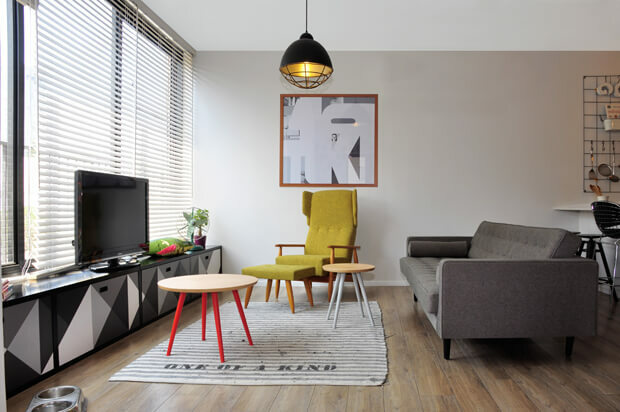 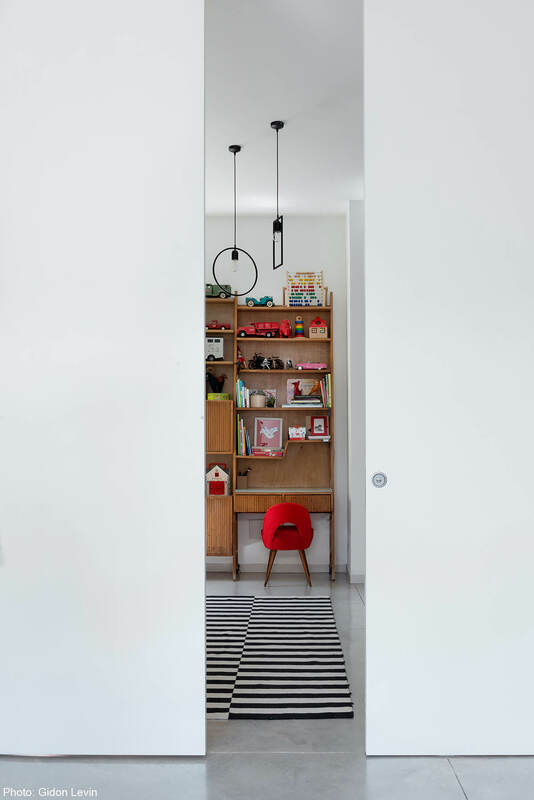 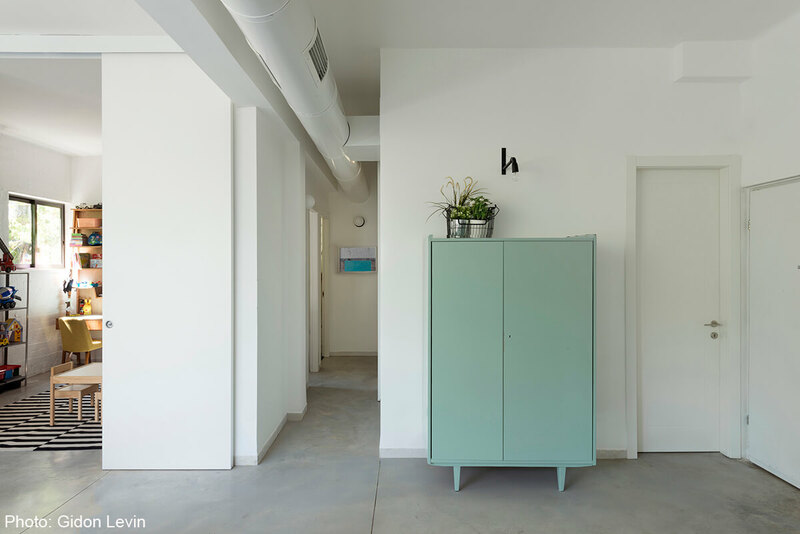 Planing and interior design of four-room 100 sqm apartment in Tel Aviv, designed for a couple and their two children. 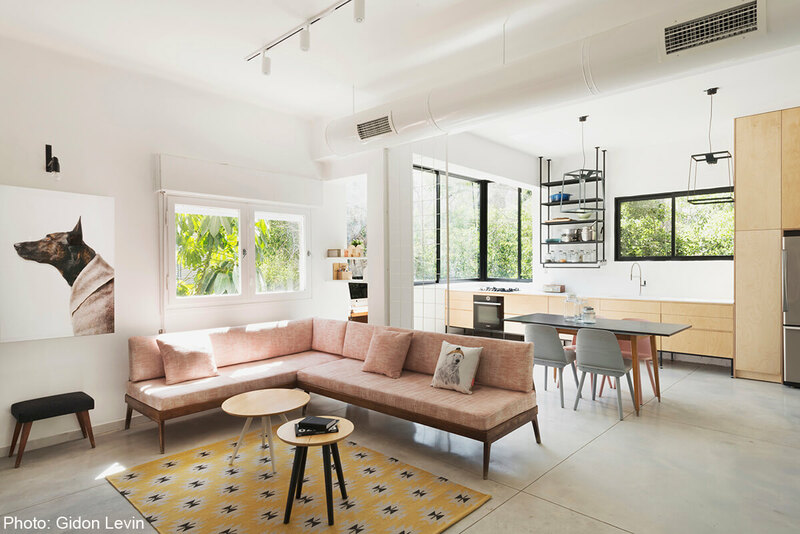 The front door opens to the living room, and the kitchen is built in the depths of the apartment with large windows and plenty of natural light. 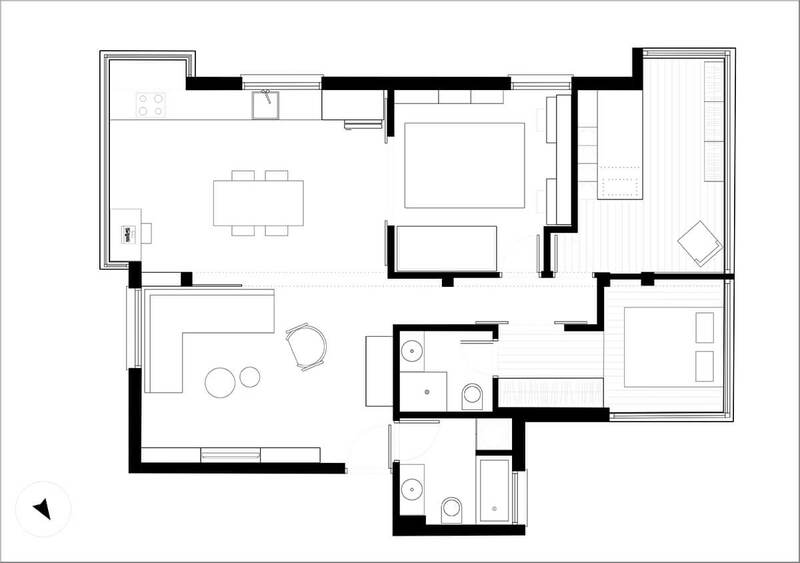 The apartment was divided so that the living room and kitchen on one side and the three rooms on the other. 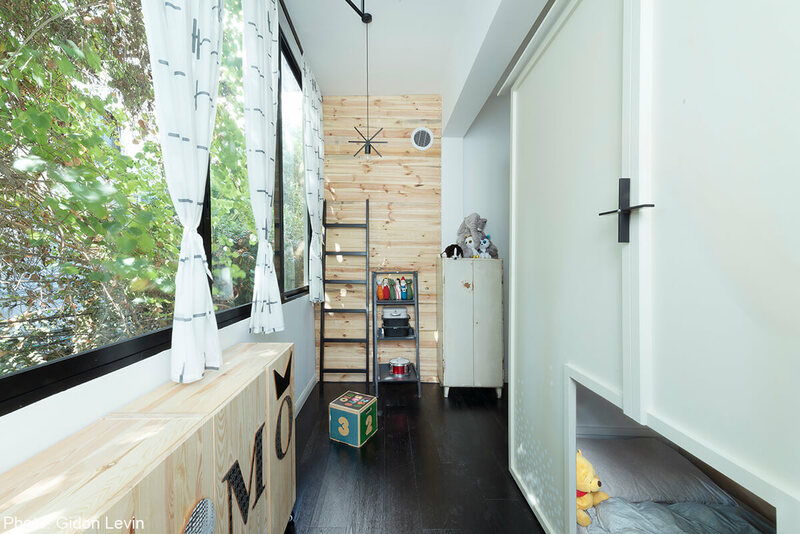 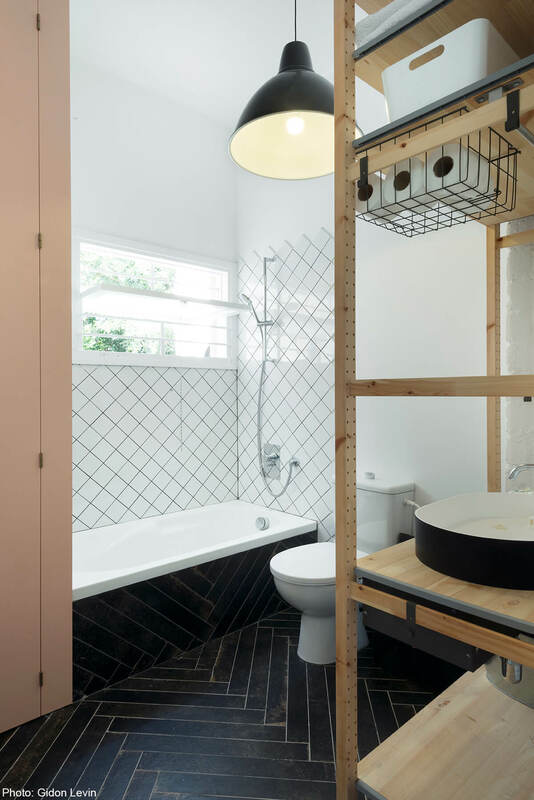 Compared to the living room and the kitchen, in which their floor was made of smoothed concrete, the bedroom floor was covered with black parquet. 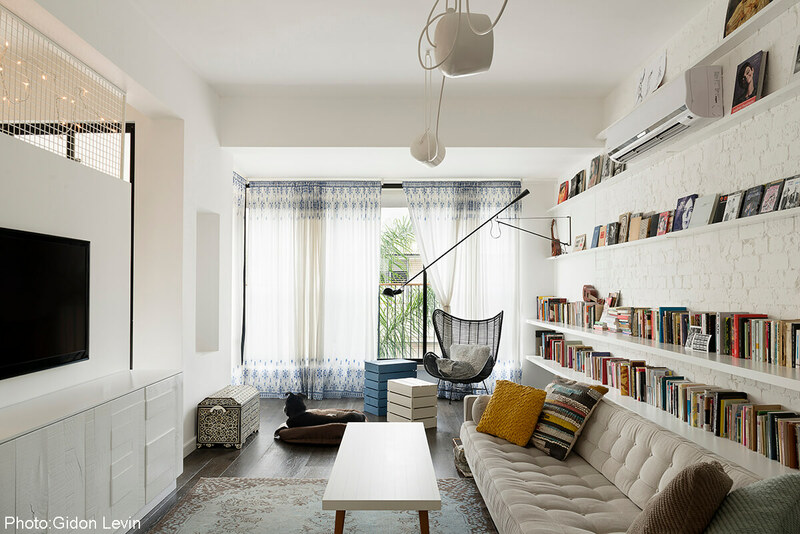 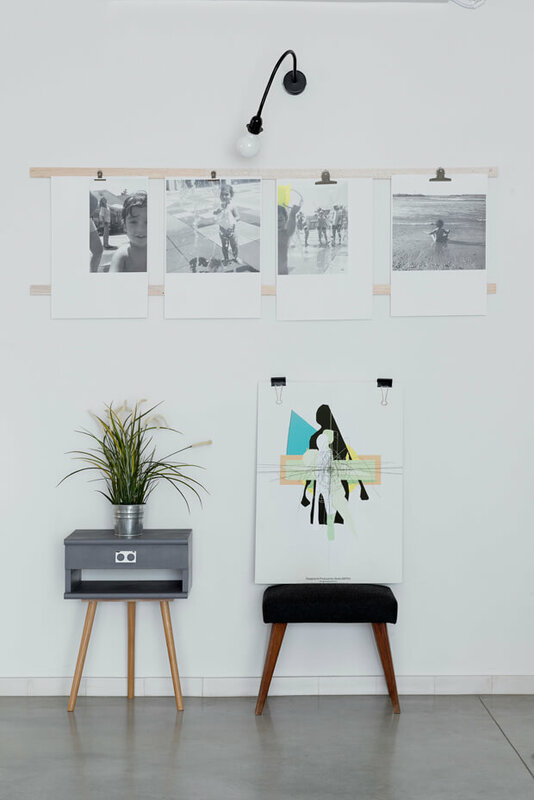 Old furniture of the original owners of the apartment were renovated and incorporated into the apartment.